Losing its Silicon Valley sheen? Facebook is going grey, losing its teen audience and gaining popularity among over-55s. Less than half of internet users between the ages of 12 and 17 will use Facebook regularly in 2018, according to forecasts by eMarketer. Unlike previous years, when the site managed to hang onto younger users via Instagram, it now seems to be losing serious ground to Snapchat. eMarketer predicts that the number of US Facebook users under 12 (below the minimum age for registering on the site) will drop by 9.3% this year, while the number of users between 12 and 17, and 18 and 24 will decrease by 5.6% and 5.8% respectively. Meanwhile, more over-55s are signing up, with half a million new users expected to join by the end of the year. 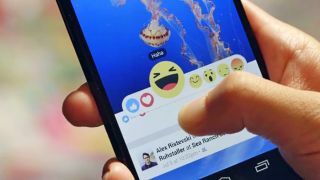 That might come as unwelcome news to Facebook, which had its sights set firmly on the next generation of users. In December it launched Messenger Kids – a version of its instant messaging and video chat app designed specifically for kids too young for Facebook itself. Pre-teens can only use the app to communicate with people to a list created and approved by a parent, but once they reach 13 they’ll be familiar enough with the site to make their own account. Facebook also offers to work with schools to bring online safety lessons into the classroom. This is a sensible move to help kids learn how to protect themselves, but also helps raise the site's profile among school kids. Facebook is also pouring investment into new technologies like advanced AR and VR, including full-body tracking – tools that might be of less interest to older users.